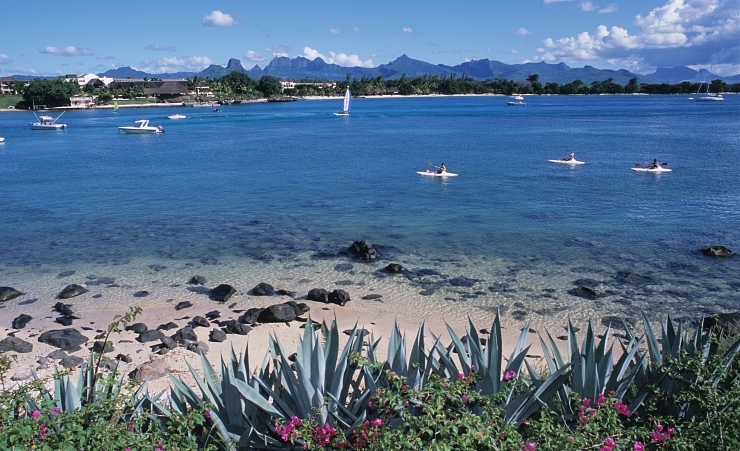 Baie du Tombeau Holidays are all about relaxation, and this resort located only 6 kilometres to the North of Port-Louis is the perfect place to unwind and enjoy the tropical paradise that is a Mauritius Holiday. Located on the mouth of the Riviere du Tombeau, Baie du Tombeau is popular with holidaymakers as well as locals not surprisingly considering Baie du Tombeau's excellent beach and laid back atmosphere. 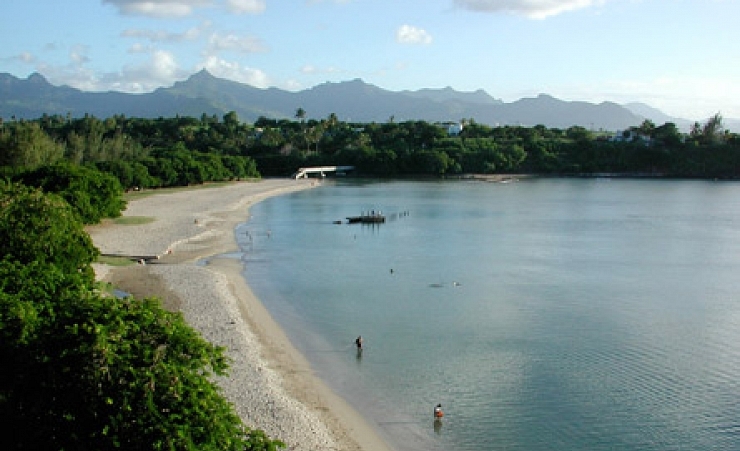 Although Baie du Tombeau is only a short distance from Port Louis, some may even classify it as a suburb; the environment is completely different from that of the capital city. Baie du Tombeau is a laidback resort with few places of entertainment and shops, however this only adds to the resorts charm. The best part of a holiday to Baie du Tombeau is the pristine beach which is gently washed by the waters of the Indian Ocean, a perfect way to spend your days is just to walk along the sand with the warm water wash over your feet. Don’t let the beautiful beach and surroundings fool you though, Baie du Tombeau translates as Tomb Bay and this spectacular yet hazardous coastline has a history of claiming more than its fair share of shipwrecks. For those wanting a more lively time on a Baie du Tombeau holiday, then the capital of Mauritius is only a few minutes drive south along the coast road and offers a great selection of cafés and shops. Alternatively the resort of Grand Baie is little over 20 minutes away from Baie du Tombeau and is a much more developed holiday resort offering a variety of nightclubs, bars and other entertainments. Why holiday in Baie du Tombeau?